The Lalvanis’ voyage from refugees to moguls embodies a worldwide phenomenon: the growing size and sway of the Indian diaspora. The exile population now numbers some 40 million people, spread across West Africa, the Americas, and East Asia. And in many of those countries—including the United States, Britain, Canada, Singapore, and Australia—Indian immigrants and their offspring have both higher incomes and higher education levels than the general population. The international importance of India itself is rising to an extent unmatched since the onset of the European-dominated global economy in the 17th century. And with the country’s economy growing at roughly 8 percent a year for the past decade—more than double the rate of the United States—India’s influence can only continue to strengthen. Most economists predict that by 2025 the country will outstrip Japan to become the world’s third-largest economy. India is more dynamic than any other major country in demographic terms as well. Its population today is 1.21 billion, second only to China’s 1.3 billion, and thanks to the latter’s one-child policy, India’s numbers are expected to surpass those of China by the late ’20s, when India will have an estimated 1.4 billion people versus China’s 1.39 billion. Currently home to the world’s second-largest contingent of English speakers, India seems destined to step into first place, ahead of the United States, by 2020. But the mother country’s rise has been more than equaled by that of India’s émigrés. 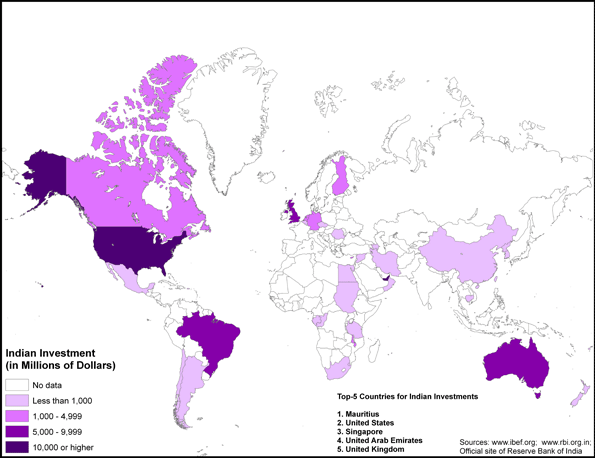 In fact, the diaspora remains one of India’s most important sources of foreign capital. According to the most recent available figures, workers from India in 2009 sent $49 billion in remittances to relatives back home, outpacing China by $2 billion and Mexico by $4 billion. 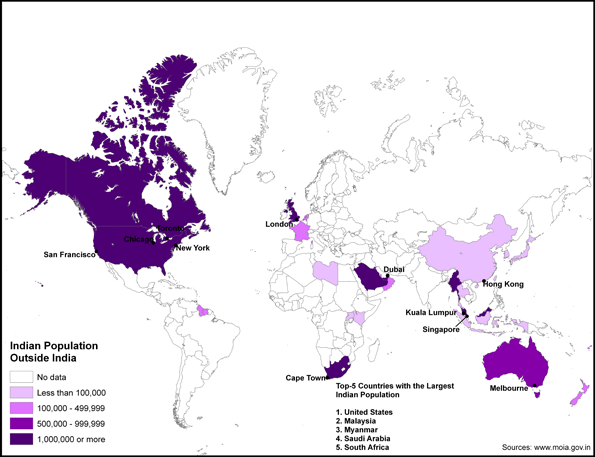 Four percent of India’s gross domestic product comes from North American remittances alone. The importance of such familial links can be seen in the close relationship between diaspora settlement and commerce. 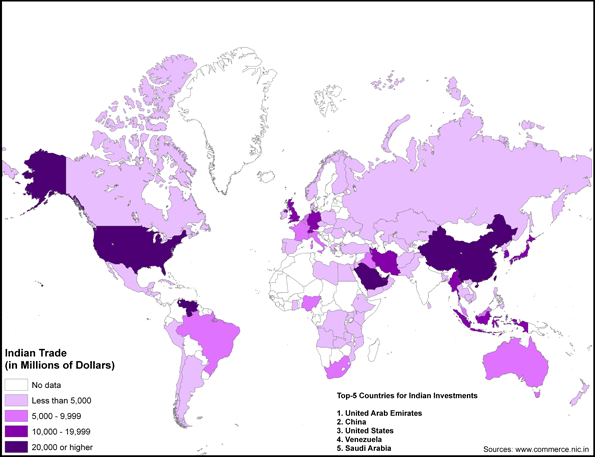 The top five areas for Indian investment—Mauritius, the Americas, Singapore, the United Arab Emirates, and the U.K.—have large, established Indian communities and -Indian-run companies that are particularly active in electronics and software. 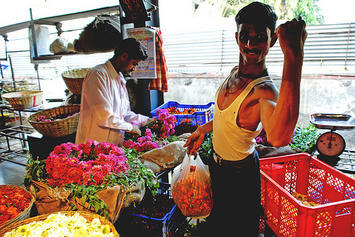 That business illustrates nicely the worldwide extent of India’s entrepreneurship. In 1958 Anish’s father, Partap Lalvani, and his uncle Gulu teamed up in London to launch Binatone as a supplier of Asian-built consumer electronics and electrical goods. Its range of products grew to include domestic appliances like kettles, toasters, and irons, and today its employees are active in otherwise neglected markets, such as the former Soviet republics of Central Asia and off-the-grid corners of Africa. The Indian diaspora began when Indian workers fanned out across the British Empire during the late 18th century. The exodus intensified after Britain abolished slavery in 1834, setting off a major demand for labor around the globe. Indians were sent out to become contract laborers on Malaya’s rubber plantations, or to work as indentured servants in the West Indies. Although many eventually returned home, others stayed in their new countries, and in many cases became integral parts of the national economy. Some rose to skilled positions in the colonial civil service and military, while others became businessmen, teachers, doctors, and moneylenders. Even after the empire’s end, émigrés kept pouring out of India to seek better lives abroad—and with them they brought brains and a willingness to work hard. In the United States, where the Indian diaspora represents less than 1 percent of the population, its members account for roughly 13 percent of the graduate students at the country’s top universities. Overall, 67 percent of people of Indian descent living in America hold at least a bachelor’s degree, compared with 28 percent of the total population. And those statistics are echoed elsewhere in the world. In Canada, people of Indian descent are twice as likely to hold graduate or professional degrees. In Britain, some 40 percent of the medical students and doctors in the National Health Service are of Indian, Pakistani, or Bangladeshi origin. Indians’ presence in the business realm is no less notable than in the world of higher learning. According to the latest survey by the University of Essex, the per capita income of ethnic Indians in Britain is about £15,860 (nearly $26,000), higher than that of any other ethnic group in the country and almost 10 percent above the median nation-al income. The study found that the unemployment rate among ethnic Indians is close to half the national average. In the United States, recently published data estimate average household income at $50,000, but it’s $90,000 for ethnic Indians—and a 2007 survey found that between 1995 and 2005, more companies were launched by ethnic Indians than by immigrants from Britain, China, Japan, and Taiwan combined. The expatriates have brought their culture with them—and that too is spreading into the general population wherever they go. Two million Brits enjoy at least one Indian meal per week, and onscreen entertainment from India has permeated the global market. Not so long ago, Bollywood movies were largely intended for domestic consumption, but foreign sales have become significant in recent years, with the large markets in the dominant diaspora countries. Today, Bollywood movies and television shows command an estimated $3 billion to $4 billion in overseas receipts, placing India’s film industry second only to Hollywood itself. 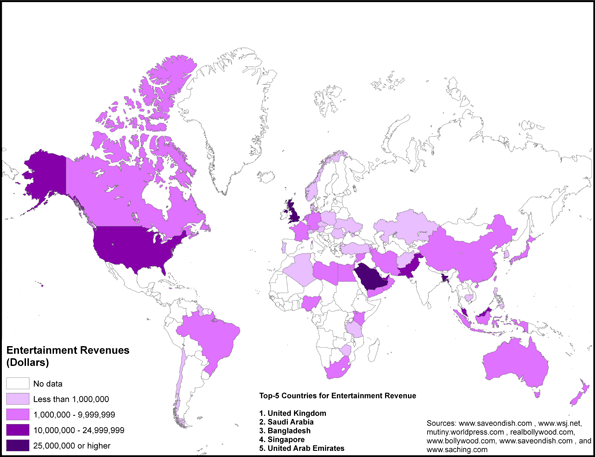 In fact, India beats the rest of the world in the number of movies made and tickets sold, and industry sources estimate that as many as a third of ticket buyers in the West are non-Indians. Back in India, conditions remain harsh despite the country’s recent advances. The average life span in Mumbai is barely 56 years, a full quarter century less than in Britain and the United States, and poverty across the country remains at shocking levels, with four in 10 Indians living on less than $1.25 a day. Statistics like that are scarcely an incentive for members of the diaspora to return to their homeland. Parulekar is an engineer by training. He holds a master’s in -finance and an M.B.A.
Research for this piece was financed by the Legatum Institute. Submitted by VickiHuter on Thu, 05/14/2015 - 02:49. Submitted by david watson on Fri, 05/08/2015 - 05:02. Submitted by david watson on Wed, 04/22/2015 - 08:43. Submitted by xahgzr1122 on Mon, 04/13/2015 - 03:16. Submitted by xxdllb1122 on Mon, 03/09/2015 - 06:52. Submitted by xygwfl1122 on Mon, 01/19/2015 - 05:52. Submitted by wing on Wed, 06/27/2012 - 21:03. Submitted by asiaeconomists on Wed, 09/14/2011 - 21:58. India is one of the fast rising economy in the world, with the great human resource and initial endowment, no wonder India would soon surpass its neighboring countries. Submitted by BC on Tue, 07/26/2011 - 12:24. Interesting profile, surrounded by really great historic, demographic, and economic data. The family-centered nature of business is an important differentiator. Thanks for this article.